Texans were engaged in action against the enemy in 1918, most in the 36th and 90th Infantry Divisions. 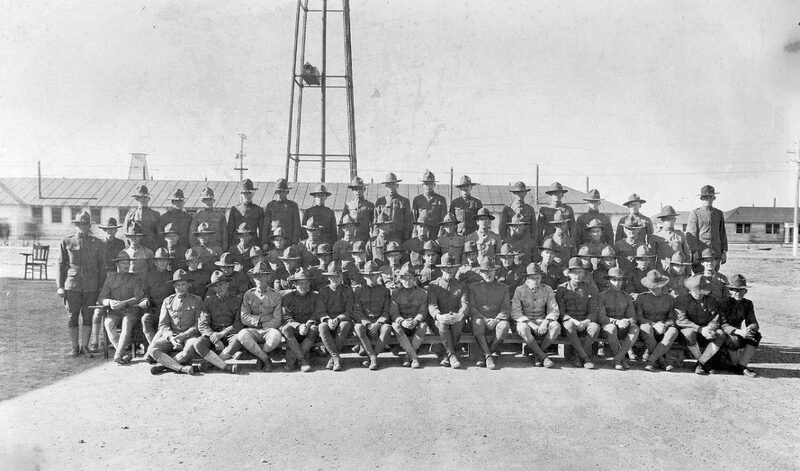 Thousands of soldiers were training at bases around Texas. The home-front was fully mobilized. 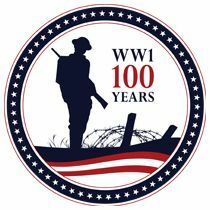 The Armistice would end the fighting on November 11, 1918, but Texans would also serve in the occupation of Germany and in the expeditionary forces sent to Russia. Here’s our Texas 1918 timeline. Have an addition to the timeline that is significant to Texas and Texans in the Great War? Let us know at WWICC.TX@gmail.com. July 13. MajGen William R. Smith assumes command of the 36th Infantry Division in New York as the Division prepares to embark for France. Smith will oversee rigorous combat training in France and lead the Division in combat through key campaigns of the fall (https://tshaonline.org/handbook/online/articles/fsm74). July 18. Private First Class Daniel R. Edwards of Mooreville, Texas, serving in Company C, 3d Machine Gun Battalion, 1st Division kills four enemy soldiers and captures four more while suffering serious wounds near Soissons, France. He is one of four native Texans to receive the Medal of Honor for his actions in WWI (http://www.homeofheroes.com/moh/citations_1918_wwi/edwards.html). July 28. San Antonian Edmund G. Chamberlain (Captain, USMCR) claims that while on furlough, he visited a British sector, borrowed a British airplane and in a flight over the front lines took part in a battle with 12 German machines. He asserted he destroyed five German planes, damaged two, and. sweeping earthward in his damaged machine. Chamberlain is later court martialed and his claimed exploits become the subject of a U.S. Senate investigation after the war. September 2. Houstonian Lt. Frank M. Moore, aerial artillery observer, 88th Aero Squadron, is killed in action during an engagement with 8 enemy aircraft. He is awarded the Croix de Guerre and Silver Star for his actions. September 15. Hospital Apprentice First Class David E. Hayden, a Navy corpsman from Florence, Texas, serving with the 2d Battalion, 6th Regiment, U.S. Marines carries a wound Marine to safety near Thiaucourt, France. He is later awarded the Medal of Honor for his actions (http://www.homeofheroes.com/moh/citations_1918_wwi/hayden.html). November 9. Private David B. Barkeley a Texan in the 89th Division. Sacrifices his life near Pouilly, France. He is later awarded the Medal of Honor (https://tshaonline.org/handbook/online/articles/fbabz).